You may have seen our favorite new accessory make its debut in Details this spring and now it’s hitting the runways and the streets. Ponchos are most definitely here to stay! The poncho has made a huge statement this year in the fashion game as a fabulous layering option and we love this versatile, practical new look. The poncho has been an elegant dress topper for summer events and a great option for light coverage into the evenings or in and out of summer air conditioning. The lux hand lends a beautiful drape that is a statement in itself for fall. Layer the poncho over a long sleeve tee or turtleneck for an instantly chic and effortless look. It’s a great cardigan alternative to continue layering over dresses into fall. 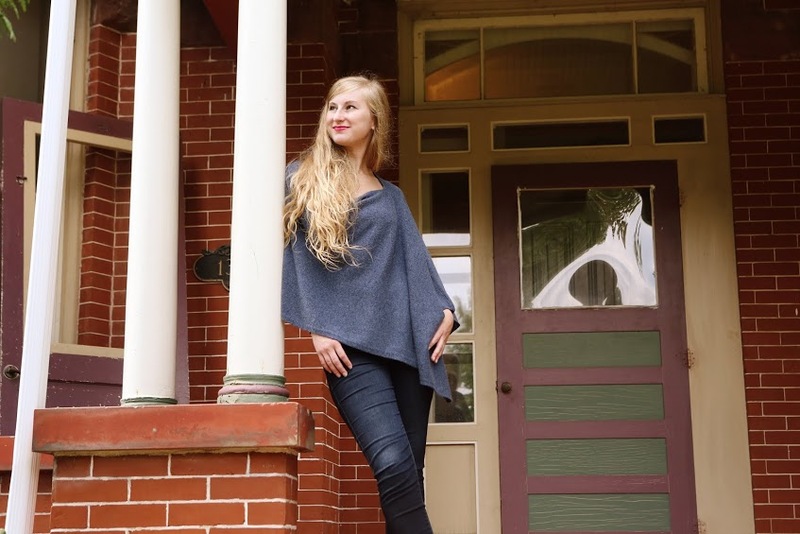 Alashan Cashmere has created a versatile and luxurious poncho that can be draped across the body to create 2 different looks and also converted into a scarf which is absolutely fabulous for seasonal transitions! Wear Alashan’s poncho as a cozy and completely practical scarf option over your winter duds and as you sit down to dinner or coffee casually convert your cashmere into an effortlessly beautiful poncho layer. Alashan offers a beyond soft cotton with a touch of cashmere (95% Cotton 5% Cashmere) that is great for spring and summer as well as a luxurious 100% cashmere option for fall and winter. Both are selling great and are available in 56 seasonal colors so there is no need to restrict yourself to only one! A terrific value at $88 for the cotton cashmere blend and just $138 for 100% cashmere. Eileen Fisher has also been on the forefront of the poncho trend offering organic spring and summer options in lightweight gauzy cottons and linens that sold great. Her fall collection is equally elegant in soft lightweight merino wool offering a rich and saturated color pallet of rusts and blue violets. The wool offers warmth that will keep you cozy on the go. Wear as an outer layer as we watch the leaves change color and wear indoors when the frost falls. Eileen’s minimal sensibility turns the poncho into an important fall accessory. The vibrant color is brilliant paired over a black silk camisole or turtleneck with a pair of slouch pants or boyfriend jeans. Effortlessly chic, less is more this season. Whether out and about, dressing for dinner or transitioning between seasons; a poncho will become your go to layering piece. Utterly practical and beyond elegant, you can’t go wrong. Stop in and visit us in the store and we will happily dress you up in our endless options or take it upon yourself to browse our online shop! Fall is upon us so ready, set, layer!